Most of us know that nerves are what give your body power – but it can also give your body complications. When you’re suffering from neuropathy, you know the headache that comes along with it. But when you’re dealing with cranial neuropathy, it’s a whole different ballgame. Neuropathy itself is a disorder that causes severe nerve damage, altering your ability to move and feel. However, when the nerves in either the brain or the brainstem are affected, this is called cranial neuropathy. ​When the facial nerve (also known as the seventh cranial nerve) is affected, this is called Bell’s palsy. ​If the condition affects the eye, it’s called Microvascular cranial nerve palsy. You’re likely to see this in people suffering from high blood pressure or diabetes. ​Third nerve palsy affects the third cranial nerve, which helps control a muscle that manages eye movement. Superior oblique palsy, or Fourth nerve palsy, affects the nerve that helps you converge your eyes – like trying to look at the tip of your nose. Cranial nerve VI, Abducens palsy or Sixth nerve palsy also affects the nerve that helps control your eye movement. ​While each different cranial nerve has its own cranial neuropathy name, if it affects more than one, it’s called multiple cranial neuropathies. Question is, what causes them? We’ll tell you here. If someone is suffering from Bell’s palsy, there’s a good chance there’s a virus to blame. Because some viruses can cause swelling, this puts pressure on the facial nerve, leading to this cranial neuropathy. Something as simple as high blood pressure can cause micro vascular cranial nerve palsy. Or you can be born into it. In fact, some child are born with third nerve palsy. While there could be an underlining problem to blame, such as an infection or perhaps a head injury, a child can simply be born with it as well. Unfortunately, an aneurysm or brain tumor, diabetes and migraines can also cause third nerve palsy. Strokes or a tumor can also cause fourth and sixth nerve palsy, too. However, fourth nerve palsy is often due to a congenital birth defect, as well as a head injury, stroke or tumor. The sixth nerve palsy may be due to increases pressure in the brain or migraines. Regardless of the reason, it’s important to keep an eye out for symptom sand seek treatment immediately. Here’s what you need to look out for. As you may have suspected from the name, Bell’s Palsy can cause dropping in parts of the face. Something to keep in mind here – it’s usually only one side of the face this happens to. Because micro vascular cranial nerve palsy affects the eye, symptoms include double vision and other problems with eyesight. Third nerve palsy can actually cause the eyelid to droop and sag, along with difficult moving the eye, a larger pupil than normal and even double vision. If your eye or both of your eyes turn abnormally, make you see double or you find yourself tilting your head when looking at something, fourth nerve palsy is to blame. And sixth nerve palsy causes abnormal eye movement and sometimes double vision. It’s critical to your health to monitor and keep track of your symptoms and seek a professional’s care as soon as possible to minimize damage. Very simple tests can be done in order to determine if there’s a cranial neuropathy, and what treatment needs to be taken from there. 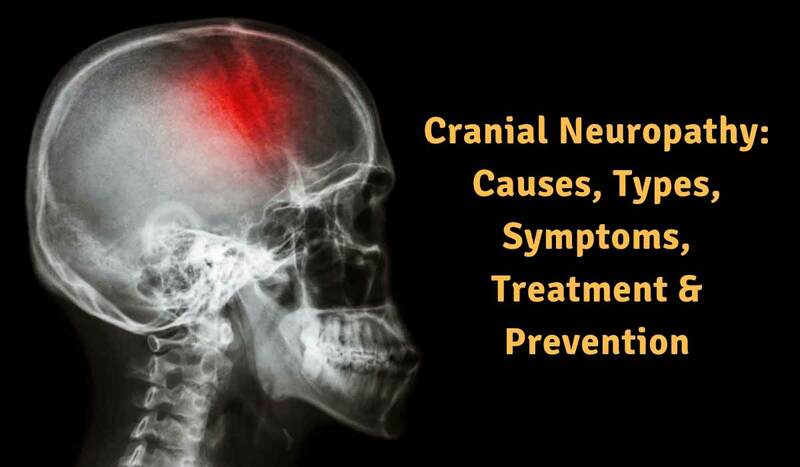 In terms of diagnosing a cranial neuropathy, it depends on your healthcare provider. He/she may do a neurological test in order to test reflexes, balance, mental status and sensation. An MRI or CT scan may be necessary to see how muscles are working and how they’re resting. In fact, biopsies can be done from both the skin and nerves in order to find out just how damaged the nerves are. A simple hearing test may do the trick, too. And when it comes to prevention, there isn’t much that can be done. You can try to cut back on your risk factors for things like high blood pressure, stroke or head injury. This will help cut back on symptoms and rarely but occasionally will prevent the cranial neuropathy from getting worse or starting. The same can be said for treatment. Sometimes, neuropathies go away on their own without any kind of treatment. Other times, medication can be prescribed in order to reduce swelling, treat some kind of underlining infection or even to help ease the pain causes by the neuropathy. In extreme cases, surgery may actually be helpful. If you’re looking for prevention or treatment (or even both), Nerve Renew is one of your best choices. Containing a clinically studied dosage of a form of vitamin B1 called benfotiamine, Nerve Renew sends these vitamins right to where you need it most – to your cells. With its blend of natural remedies, users have found it cuts back on pain in general and particularly nerve pain. With vitamin B2, vitamin B6, vitamin D, feverfew extracts, oak straw extract, passion flower, and skullcap extract, you can rest assured these ingredients are coming from natural sources. At the end of the day, treating your cranial neuropathy may depend on your individual case. 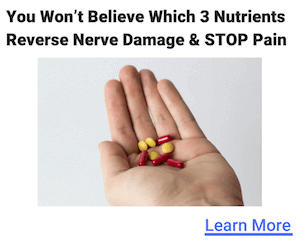 However, if you don’t want to live with pain or discomfort for the rest of your life, seeking medical help or trying a natural remedy like Nerve Renew is your best option. As always, getting your health in check can do wonders, too. Address problems like diabetes, infections and high blood pressure. Avoid smoking, eat a healthy diet and cut back on alcohol to make sure your body is nice and healthy.